Traditions, what would the holiday season be without them? A tradition is a tradition no matter how big or small. Christmas Eve without my mom's Chicken Wild Rice soup after the evening church service just wouldn't be the same. And even though my sister and I are fully grown we still insist on my dad reading The Night Before Christmas before bed on Christmas eve. Yes, some traditions we will never out grow. Traditions make the holiday season extra special. And just because Christmas is over doesn't mean that the Holiday traditions stop! Ever since I can remember my mom and dad have prepared the same New Years day feast. So what do we feast on New Years Day? Well my parents make pork, black eyed peas, and purple cabbage! Why these foods? Well, because these 3 simple foods were believed to bring you good fortune in the upcoming New Year! I guess you could call them "Lucky" foods! Cabbage represents financial prosperity, pork represent progress and the moving forward into the new year, and black eyed peas represent luck and prosperity (source, source). 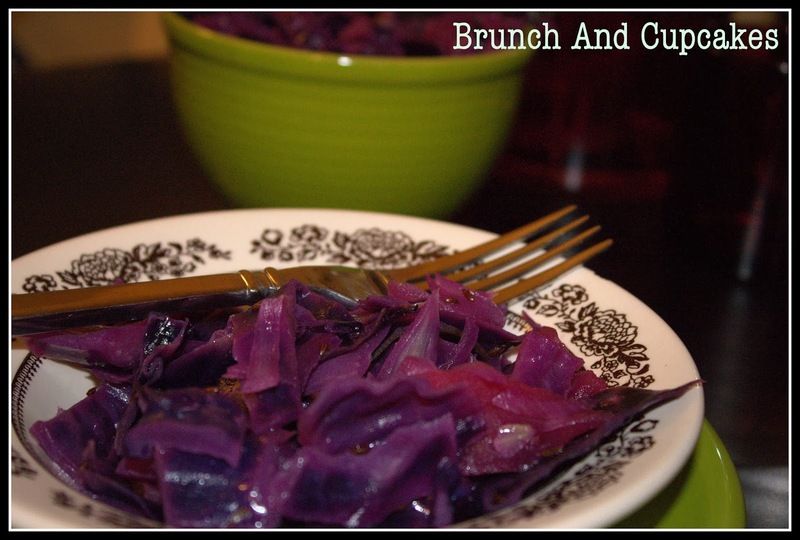 I can remember being small and rolling my eyes at the thought of eating purple cabbage on New Years day! The sight of the vegetable made me wrinkle my nose. I may have also thought my parents were crazy for this "Lucky" food tradition that we would partake in every New Years Day! But a tradition is a tradition and as I got older I began to love our New Years Day feast (minus the pork now). And if you ask me, New Years Day wouldn't be the same without these three "Lucky" foods! 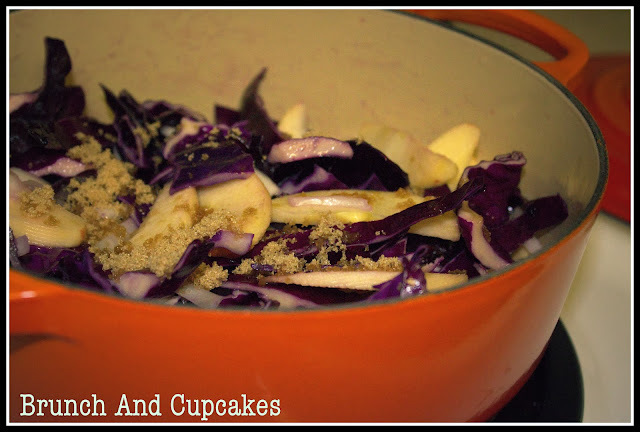 1- In a large bowl combine shredded cabbage, salt, and red wine vinegar. Mix and let stand for 5 minutes. 2- In a large skillet melt butter. Add cabbage and turn 2-3 times. 3- Stir in Onions, Apple, Caraway Seed, Chicken Broth, Brown Sugar and Pepper. 4- Reduce heat to low and cover skillet. Cook cabbage on low for an hour until cabbage is tender. Best served warm!